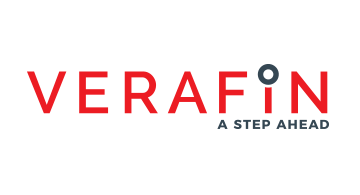 Verafin is the leader in cloud-based, cross-institutional Fraud Detection and Anti-Money Laundering (FRAMLx) collaboration software with a customer base of 1600 financial institutions across North America. Using advanced cross-institutional, behavior-based analytics it helps financial institutions stay a step ahead of numerous types of fraud as well as the BSA, USA PATRIOT Act, and FACTA compliance landscape, while allowing them to collaborate cross-institutionally. Verafin is the exclusive provider of fraud detection and BSA/AML software for the Texas Bankers Association, California Bankers Association, Florida Bankers Association, Illinois Bankers Association, Massachusetts Bankers Association, CUNA Strategic Services, a preferred service provider of the Independent Community Bankers of America, and has industry endorsements in 47 states across the U.S. For more information, visit www.verafin.com, email info@verafin.com or call 866.781.8433.